Facebook let me know about something I put up six years ago. Shocker for a couple of reasons. The first is, I hardly ever think about this book and the other is, the numbers are far worse than they were back then. If you haven't heard of this book, that is Ok since a lot of people haven't. One person liked it. 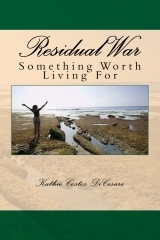 If you have not read anything Kathie has written you are at a major disadvantage when discussing PTSD. She has a first hand account of dealing with this herself as the wife of a Nam vet, but then devoting her life to understanding the dilemma and helping others understand it as well. I consider Kathie a highly knowledgable contact with regards to this subject and have consulted her many times. Kathie truly has the inside pulse in understanding the issues here, the denial of our government and the failures of the administrations to come to grips with how best to deal with it. 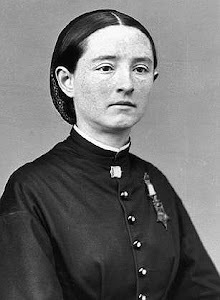 Our government is trying to find a series of magic bullets (medications) that some practitioners hand out like candy because they have nothing else to give and lack the compassion needed. 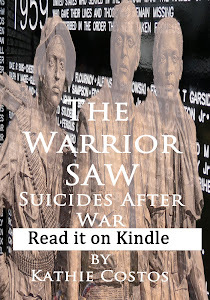 Since I write so much on the subject of PTSD and suicides, I forget a lot of things I've written, but the thing is, I remember most of their stories. I had to go back and take a look at this book. 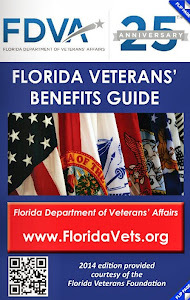 Totally sadden by the fact that the military and the VA still has not figured out what people like me learned decades ago. We learned because it was all too personal to us. It was not just something to research, but it was our lives. 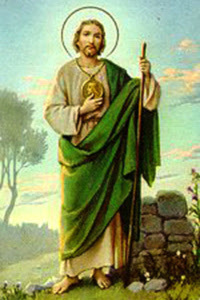 What we failed to do, meant someone we loved would suffer, and usually, that meant our entire family. What we succeeded at is what kept us going. Knowing that the other side of all of this is beyond measure. 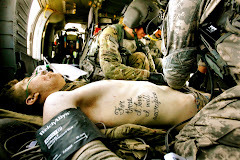 Seeing these magnificent men and women heal is the reason I get up every morning. 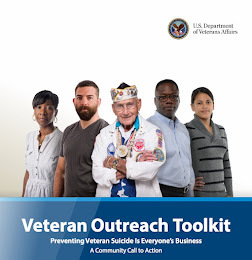 Sure it would be great to not have to work a regular job and the do this the rest of the day, but I really think that is one of the biggest reasons I find it so reprehensible that so many are making money, and having fun, because they talk about veterans committing suicide. We lived it. We have seen so many coffins filled that when I did the first video on suicides back in 2007, I had to call the President of Point Man to help me recover. The heartbreak was tearing me apart. 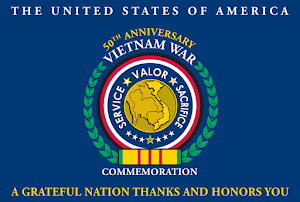 Anyway, tonight I am sitting here, reminded yet again, of how much we learned over all these years, and how it is all being thrown away, including the veterans all these people claim to be working so hard for. 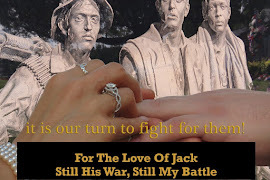 By the time I finished writing FOR THE LOVE OF JACK, HIS WAR MY BATTLE in 2002, troops had been in Afghanistan for months and there was only talk of sending more into Iraq. My heart was already breaking knowing what was coming for far too many of the war fighters and their families. Remembering what it was like to feel alone with this struggle, I tried to do something about it for others. I started blogs and websites but was getting angry more about the fact I had to search for hours just to find the few stories being covered. That’s when I decided that I would put all their stories in one place so that no one felt as if they were the only going through all of this. 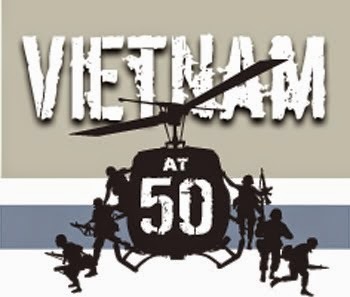 It was also in an attempt to avert what happened to Vietnam veterans like my husband suffering from PTSD along with the secret we thought we had to keep. 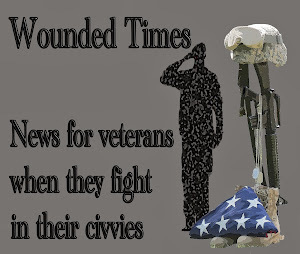 Wounded Times Blog began in August of 2007, had over 18,000 posts by the time this book was finished and was viewed over 1 million times. 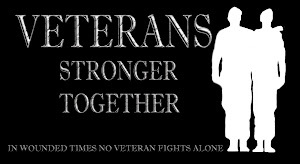 There are 2,727 posts on Combat and PTSD, 4,822 on Post Traumatic Stress Disorder and 988 on military suicides. 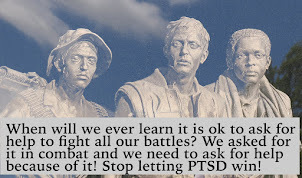 The stigma of PTSD has always been a barrier to getting the help they needed to heal, which was obvious, but what most people did not know was it added to their suffering when they believed it was their fault they had it and there was something “wrong” with them. 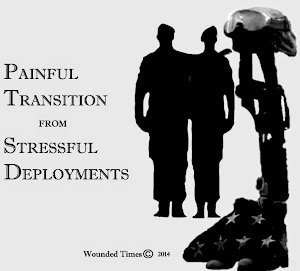 By the time that study was released I had been putting videos up on YouTube for a year to make sure veterans knew what PTSD was all about and do it in terms that put it simply without all the psychiatric jargon I had to suffer reading when there was absolutely nothing else to learn from. No self-help books in the 80’s, no Internet in homes and no one in the civilian world were talking about any of this. 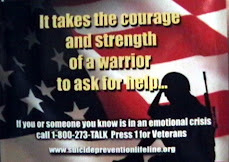 So why are we reading reports on Military Suicides reaching an all time high in 2012 after all these years? Because average people had no way of knowing what it was, what to do about it and very few knew how to save their lives. We relied on the media to inform us and they let us down. 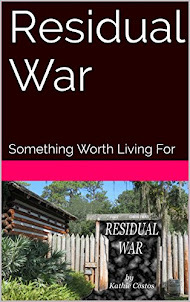 How do I begin to tell you the story of what happens after war when too few even know what it is like for them during it? We didn’t pay attention when our parents and grandparents came home and wanted to tell us stories while we were growing up. We got bored. 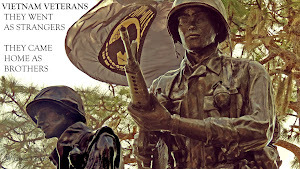 It didn’t dawn on me that while I was reading about the Korean War and WWII in school, I had veterans of those wars in my own family. 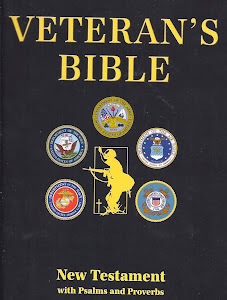 It was not until I grew up and fell in love with a Vietnam veteran in 1982 that I started to care enough to learn. Maybe that is the way to start this. To make it all personal to you dear reader you need to know the men and women just as much as you need to know the numbers. You need to know where we are, how we got here and what can be done about it. So we’ll start with some numbers. The Gulf War lasted six months. It claimed the lives of 382 US troops. Operation Enduring Freedom in Afghanistan, 2001-2013 has claimed 2,178 US troops so far. 310 of them were killed in 2012. Operation Iraqi Freedom 2003-2012 had claimed 4,486 US troops. 1 was killed in 2012. Yet the deadliest year was in 2012 and claimed more lives connected to military service than any other year, but their deaths were by their own hands. This nation has spent about a billion dollars on efforts to prevent suicides but after all these years evidence proves they did not work. Congress kept funding programs no matter what happened and then they had to hold countless hearings listening to family members plead with them to do something about war fighters killing themselves. These are the deaths from suicides for 2012. 492 total reported suicides from one year alone. 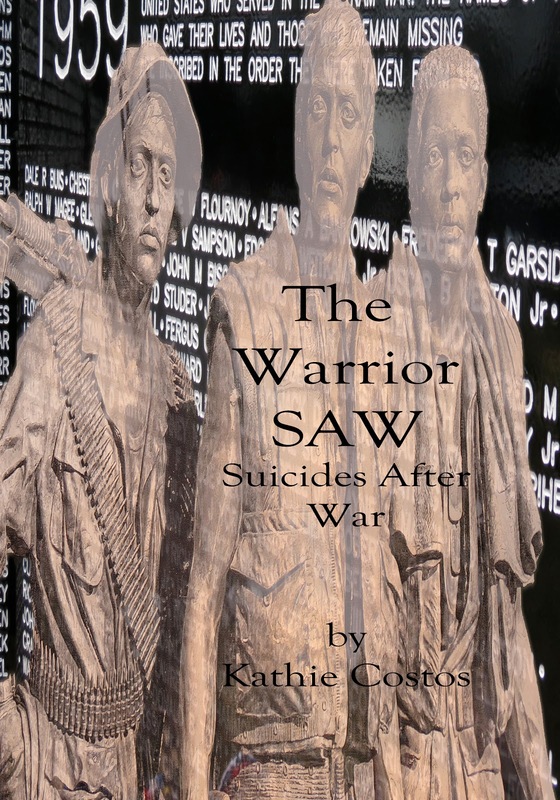 Added onto those suicides came news that at least 22 veterans take their own lives everyday. Every major media outlet continued to use the wrong numbers while declaring headlines like “the worst year” when their numbers were only 349. CNN had the Army total right but left out the other branches. 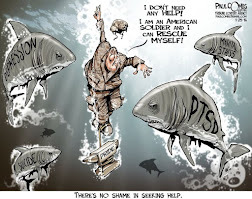 “325 Army Suicides in 2012 a record” reported by Tom Watkins and Maggie Schneider on February 2, 2013. The issue there is it left people wondering about the others in the Marines, Marine Reservists, Navy, Air Force and Air National Guards. 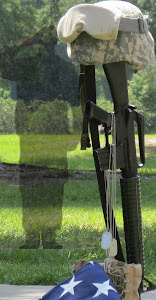 In February those numbers were revised to add a soldier to the 7 reported in January another Army National Guardsman. This news was buried in the report from the Department of Defense news release for January suicides, 19 “potential” soldiers, 6 Army National Guardsmen and 8 Army Reservists. That is where we are. How did we get here? 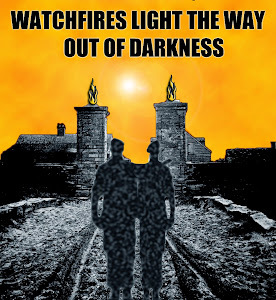 What went so wrong they were surviving in combat but not coming home? How do we change what happens to them so they stop finding life more dangerous here than it was in combat? This war after war requires something that cannot be purchased like the newest and latest weapon the Pentagon drools over. It requires something that is freely given because it was received freely. It requires us to make the difference for them. Bill Gates didn’t start Microsoft until 1975 and most households did not have a personal computer until the 90’s. Things were going on the same as they are now only people didn’t have Facebook to share their heartaches or find support groups to turn to. There was no way to track stories across the country because no one was going to subscribe to every newspaper and there were a lot more of them back then. National news on TV was actually national news but time limits didn’t allow for anything more than what producers considered the top stories while now we have 24-7 cable news stations. The producers of these “shows” don’t seem too interested in the veterans because stunningly most Americans thought the troops were out of Afghanistan a long time ago. 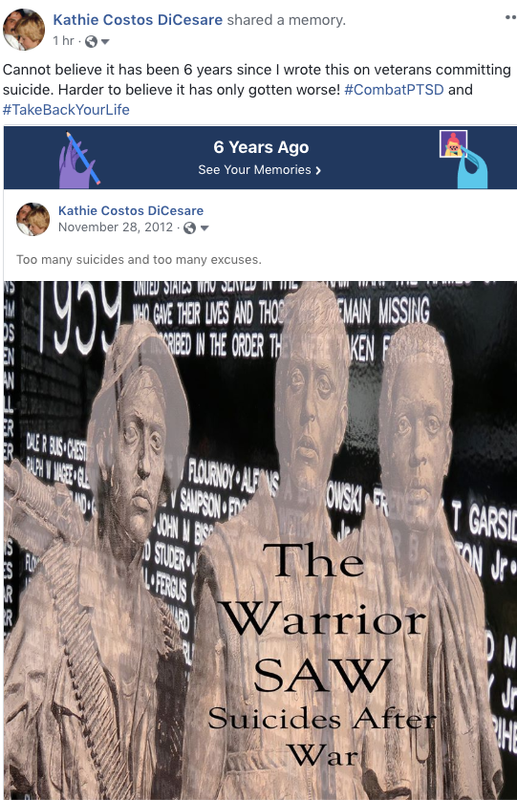 If you’re wondering why suicides went up after the Suicide Prevention Hotline went into effect, after bills were passed by Congress, which there were many, after the Department of Defense put into practice prevention programs beginning with Battlemind replaced by “Resilience Training” then you are not alone. 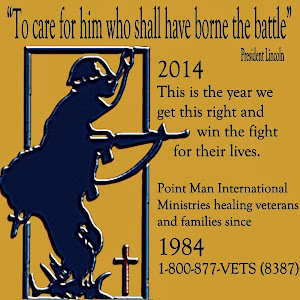 The truth is, after over 40 years of researching what combat does to those we send, the Congress, Department of Defense, the VA and “mental health professionals” have arrived to fight this enemy unarmed. If you want to read it, go to the link but if you have been reading this site since 2007, when it went up, you probably know everything in the book already. 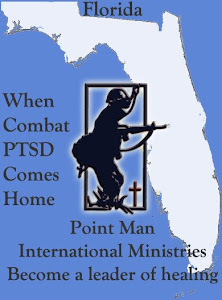 All of this goes into why I started PTSD Patrol. Someone has to be reminding all of you that you are so worth every effort, and a hell of lot more than you have been getting.